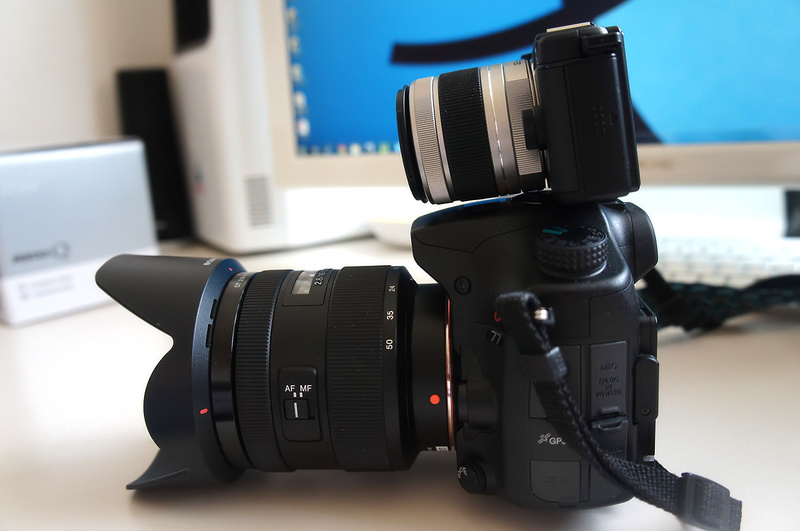 It is Good that you are considering an important question – things to know before buying a DSLR Camera. We said many a times on this website, in writings (will be available in bookstore soon) on my Paperback book that, DSLR is really the Digital version of our traditional SLR camera, there is absolutely nothing so much important that should make an average user jump to buy a entry level to high end DSLR. There are a good list why you must make yourself or your kid understanding these facts. Every company will promote their products and services. Photography is an art, first things to know before buying a DSLR camera is the cost of ownership and the required time needed to be invested is huge. One part, which is quite important part among the things to know before buying a DSLR Camera is the basics of Optics. Practically a Pin Hole camera can show something in front as image – better, practical version is film camera. When we use a re-usable digital ‘film’ – it becomes digital camera. So, the optics will never change much – right? We must clear the practical fact “ DSLR might not suit every users usage pattern, and itself a DSLR can not make you a good photographer. We wrote some practical points about this DSLR versus Point and Shoot camera troll. If you got interested in DSLR just for the fact that, it is a high end gizmo or got interested after viewing the results of other photographers; you are possibly took a decision. When you already have bought, there is really no meaning to blame, instead trying to understand the pattern of usage of a SLR camera is an important factor. More costly a DSLR will be, usually the way of usage becomes more towards typical SLR camera than a point and shoot camera. Pro end, to some extent becomes like a manual transmission car when compared to a automatic transmission car. The essence is “ more you need to control for precise result; more you need to learn and practice. Holding a DSLR properly need a good practice. Looking at the Screen of DSLR is wrong, small things which differentiate between a real user and an owner of a gizmo. Lot of people has earnings with less working – well, this is true for almost all the countries. Yes, if you have some good idea about traditional painting, drawing or doing quite good with a point and shoot digital camera, the camera is pushing you to a feel “no, its not sufficient”, then you should think about buying a DSLR. I own two DSLR cameras, but for everyday usage, I use a Point & Shoot camera. It is a pain to carry a bag with a DSLR, two lenses, one or two smart phones, one MacBook Air, some files. A good point and shoot is enough in sunny weather for taking day to day photographs. DSLR is required only for artistic photographs, documentaries, professional usages. It is possible to some effects like DSLR, you have quite good grasp on that device only. Which is typically said – if you have an long inclination towards photography, then definitely DSLR can make your progress better, but buying the DSLR, then traveling here and there to take “artistic photos” for gaining a sort of popularity within peer group, usually dries up within 2 years. DSLR becomes a headache itself and the ultimate place is Ebay. Maintaining a high end machine demands time from the owner ! This Article Has Been Shared 1327 Times! Cite this article as: Abhishek Ghosh, "Things to Know Before Buying a DSLR Camera," in The Customize Windows, December 16, 2013, April 20, 2019, https://thecustomizewindows.com/2013/12/things-to-know-before-buying-a-dslr-camera/.